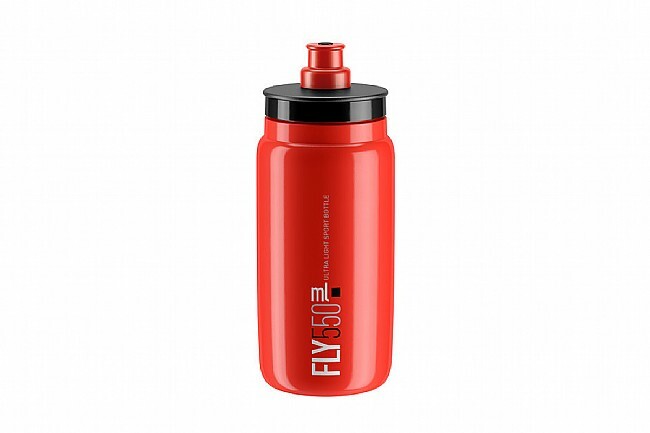 The Fly Bottle (550ml) features odorless and BPA-free soft yet durable plastic construction, producing an extremely lightweight water bottle. 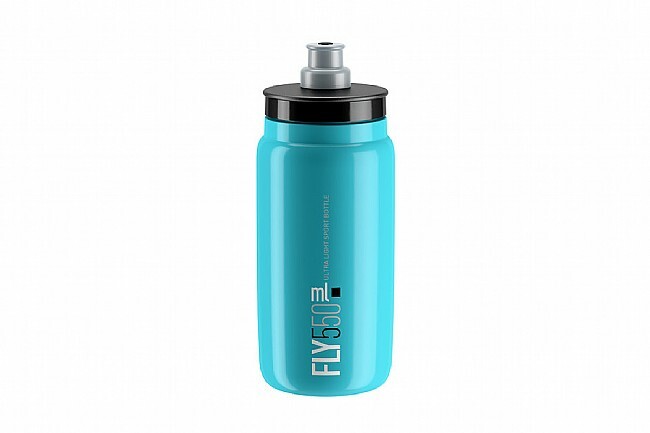 Its ergonomic cap design makes for easier, faster hydration. Great bottles! On the thinner side but hold liquids in without leaking. I'm not a tall guy and I like riding with a revelate design frame pack. When I do, these bottles fit perfectly underneath in my bottle cages and not protrude too much into my frame pack. Yes, I'm also using one of those bottle cage adapters that lets me mount the cages lower. I just wished there are also lower profiles frame packs out there. Avoid - virtually impossible to drink out of one-handed. Avoid this water bottle. It's so flimsy that it collapses when you flip it upside down to drink out of it. Also, the nozzle is so loose that by pressing against it with your lips you automatically close it. So impossible to drink out of with one hand. Need one hand to keep the nozzle from closing and the other hand to squeeze the bottle. Pointless. The Elite Fly Bottle is my new favorite because it's made of a nice squeezable material, it has a straight shape with a large mouth that makes it easy to fill, and it's lightweight. The cap secures nicely with no leaks, the nozzle delivers fluid quickly, and the whole thing cleans up easily. I didn't know a bottle could be this good. Light as claimed with some problems. I bought this to check out the claims. Yes, you can save some grams. However, the plastic is very thin as expected and it can stay sucked in after taking a drink as the valve self-closes and then it doesn't fit in the cage correctly.